7 Kids and Us: Pyure Organic Stevia Plus Sugar Free Lemon Pound Cake Recipe! 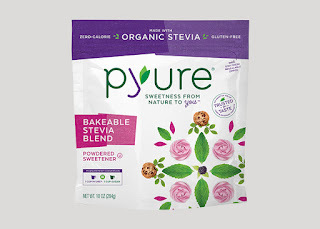 Pyure Organic Stevia Plus Sugar Free Lemon Pound Cake Recipe! Recently, I have been trying to cut down on my sugar intake. I am not overly cautious about it, but I do try to use Stevia whenever I can remember to, because it's more natural and I really don't need all the sugar. One of my biggest problems is when I am out. Places always offer the pink and blue packets, and sometimes the yellow, but I don't like those. I really like my Stevia. 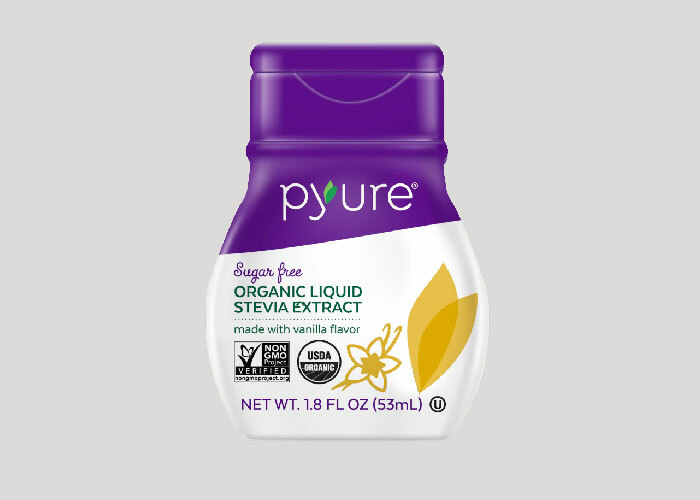 I am so excited that Pyure Organic Stevia is not only delicious, but it's super portable! I have been taking this with me wherever I go and I really remember to use it now. 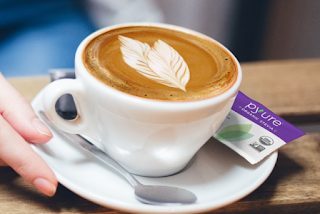 Pyure Organic Liquid Stevia Extract. It's available in Simply Sweet or Vanilla. I use the vanilla in my coffee, and the simply sweet in my tea. I have also been trying to bake with the Pyure products whenever I can, and I love this Bakeable Stevia Blend. The kids have never mentioned anything tastes different, and if anything they all agree everything I make is yummy! Don’t tell us we can’t have our cake and eat it too. Our bakeable blend measures cup for cup like sugar, but without all the extra calories. More sweets, less sugar, and even less guilt — it’s win-win-win. Preheat oven to 325 °F. Line an 8 x 4- inch loaf pan with parchment paper and set aside. Beat together butter and Pyure Organic All Purpose Stevia Blend until fluffy. Add eggs, one at a time, blending after each addition. Beat in vanilla and lemon zest. Whisk together flour, baking powder, baking soda and salt. Stir flour mixture into butter mixture, alternating with milk. Scrape batter into prepared pan. Bake for 50 to 55 minutes or until tester inserted into center comes out clean. Let stand 5 minutes. Remove cake from pan and let cool on rack. Lemon Glaze: Add water to lemon juice to bring up to 1/2 cup. Combine in saucepan with Pyure Organic All Purpose Stevia Blend and Pyure Organic Liquid Stevia. Bring to a boil on medium and cook for 8 to 10 minutes or until slightly thickened and reduced by two-thirds. Brush glaze over cooled cake. Check out all the Pyure Products here!